Canonical has lift the lid on Mir, it's name for the display server they are designing in-house. 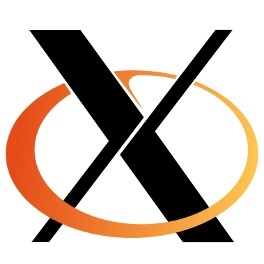 Mir will replace the X.Org Server on Ubuntu and it's not based upon Wayland or any other existing display server project. One month ago there was talk of Ubuntu rolling its own display server not based upon Wayland or X.Org/X11. That's now been confirmed with the surfacing of the Mir specification on the Ubuntu Wiki. "We are developing a next generation display server known as Mir. A system-level component targeted as a replacement for the X window server system to unlock next-generation user experiences for devices ranging from Linux desktop to mobile devices powered by Ubuntu. This document outlines the motivation for the project, describes the high level design, summarizes the scope, and provides the roadmap of the Mir display server." - Mir is a new display server being developed at Canonical and it is not based on X.Org or Wayland. - Android graphics drivers will be supported. Existing DRM/KMS/Mesa/GBM (the open-source Linux graphics drivers) will work. Canonical is pressuring the binary blob vendors to make their drivers compatible. - There will be support for legacy X11 applications through an integrated root-less X.Org Server. - Canonical will natively support the GTK3 and Qt/QML tool-kits with Mir. - Mir will be used for all form factors from Ubuntu Phones to the Ubuntu Linux desktop. - Mir should be ready for Ubuntu Phone OS by this October while it should come to other form factors (and the desktop) in one year's time. The specification says the limitations Canonical has with X is that it shares lots of system state across process boundaries, the X input model is complex, the compositor hierarchy ends on the session level, and the X graphics driver model lacks focus. With Canonical's Mir, they are seeking a well-defined driver model based largely around Google's Android where it's tailored towards EGL/GL (namely OpenGL ES), there's minimal assumptions about the underlying driver model, the ability to leverage existing drivers implementing the Android driver model, and the ability to leverage existing hardware compositors. "In summary, we want to provide a graphics stack that works across different platforms and driver models by limiting our assumptions to a bare minimum." As for why not using Wayland/Weston, the reasons expressed are the input event handling partly recreates the X semantics, the shell integration parts of the protocol are considered prvileged. The slated objectives of Mir is well-defined functionality, efficiency, test-driven, versatile & flexible, security, and toolkit integration and legacy X application support. Canonical developers will make to see that applications relying upon Qt/QML, GTK3, XUL, etc will be able to use Mir in an "out of the box" manner. The legacy X support will come from an in-session root-less X Server. Aside from supporting Android graphics drivers, Mir right now will support free software graphics drivers built upon Mesa and DRM with GBM and KMS support. Canonical is said to be in talks with the closed-source vendors (namely NVIDIA and AMD) about supporting Mir and a unified EGL-centric driver model. By October they hope Mir with "Unity Next" will be ready to be supported on Ubuntu Phone. By April of next year they already hope to have "Complete convergence across the form factors is achieved, with Mir serving as the carrier across form factors, powering a seamless transition between different use-cases and devices." This time-line and the ambition of having their own display server not derived from X.Org or Wayland is rather surprising, especially with the expedited time-frame on delivering. Canonical doesn't have many experienced low-level graphics stack developers in-house (their X.Org/Mesa team is very small and hasn't done much upstream engagement) and even Wayland/Weston's development having gone on for so long with many developers, many of whom are X.Org/DRI/DRM veterans, is still going rather slowly. We'll see how Mir for Ubuntu turns out... And whether it gets adopted by anyone else in the Linux world.